Artists and creatives — between now and during the Soirée on June 10th, if you purchase nine hours of art lessons, critiques, creativity coaching sessions, or tailored art marketing sessions held in my studio at my regular rate of $35 USD per hour,1 you’ll get a tenth hour for free! I welcome artists of all skill levels, as well as those working in a variety of media. As long as you prepay for the bundle of lessons by June 10th, they don’t have to all take place between now and then — you have until December 31, 2018 to take advantage of all your lessons or sessions. Plus, your purchase will earn you additional Soirée raffle tickets when you attend the June 10th event! Email me today to schedule your lessons or for more information. 1. Please note that this rate is for sessions taking place in my studio. For private lessons in your home, a prorated travel stipend per lesson may apply depending on the distance involved. Please contact me for a rate quote. Learn to break the rules! Contact Funderburk today. As I schedule additional workshops, I will post information about them here, so be sure to keep checking back. I am also currently available to schedule art workshops with organizations for 2018. If you are with an arts organization, please let me know if you would like a full brochure listing the topics I currently offer. • Mastering Color: Does your heart sing when you see an array of new pigments in every color of the rainbow? Do you get overwhelmed by the choices, or stumped when it comes to using them effectively? Learn how colors affect each other as well as the viewer’s perception. Learn to evoke whatever emotional response you wish through your compositional color choices. We will also be discussing the symbolism and psychology of color. • Psychology of the Self: The Art of the Self-Portrait: Why do artists feel compelled to depict themselves in their work? Find out first hand that there is more to the issue than the availability and affordability of a model. • Beyond Green: Using Color in the Landscape: How do you handle all that green? What approaches can artists take today to keep their landscapes original and fresh with vibrant color? Participants will be given keys to making editorial decisions about color choices in the landscape. • New for 2018: Igniting Creativity! Both artists and non artists are welcome to fan the fires of creative potential. Get ready to play as we explore exercises and techniques designed to stimulate and strengthen right brain skills and expand lateral thinking. 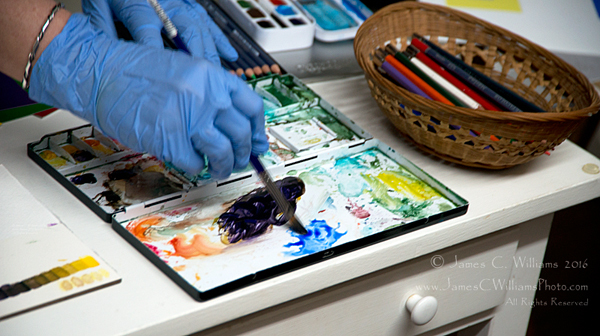 To court the Muse, participants will use simple drawing, collage, brainstorming, and journaling techniques, along with a few surprises. 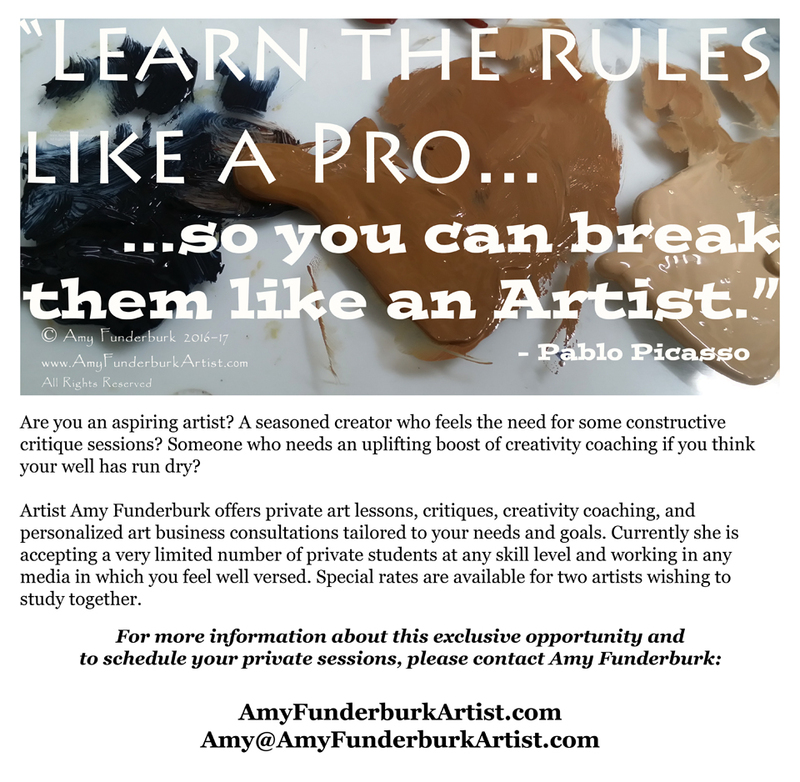 • The Business of Art seminar: Are you ready to turn your hobby into a business? Have you been selling your art, but a phrase such as the “Creative Property Exclusion to the Uniform Capitalization Rule” sounds like a foreign language? Unsure about how to price your work or find the right gallery? Art is a business, and the more artists themselves treat it as such, the more the general public can also be educated about the value of artwork.